The 3000CS Analyzer is an on-line instrument offering automated ppb-level chloride and sulfate measurement for corrosion control in power plant chemistry. The 3000CS provides accurate chloride and sulfate measurement every 45 minutes without any operator intervention. METTLER TOLEDO Process Analytics is launching an on-line instrument for direct measurement of corrosive ions found in power plant water and steam. Chlorides and sulfates cause pitting and stress corrosion in expensive power plant components such as turbines and boilers, leading to extensive maintenance and unplanned shutdowns. Monitoring these ions at low ppb levels has therefore been identified as key measurements in power plant chemistry. 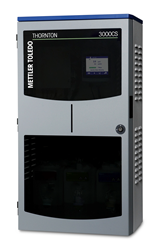 The METTLER TOLEDO Thornton 3000CS Analyzer provides on-line, trace-level chloride and sulfate measurements for corrosion control. The 3000CS uses microfluidic capillary electrophoresis, an ionic separation technology, to provide an alternative to expensive off-line methods such as ion chromatography and inductively coupled plasma. The unit features semi-automatic calibration and an intuitive touchscreen interface, allowing operation without the need for extensive training. METTLER TOLEDO's Intelligent Sensor Management technology in the analyzer provides diagnostics that predict when maintenance or replacement of consumables will be required. 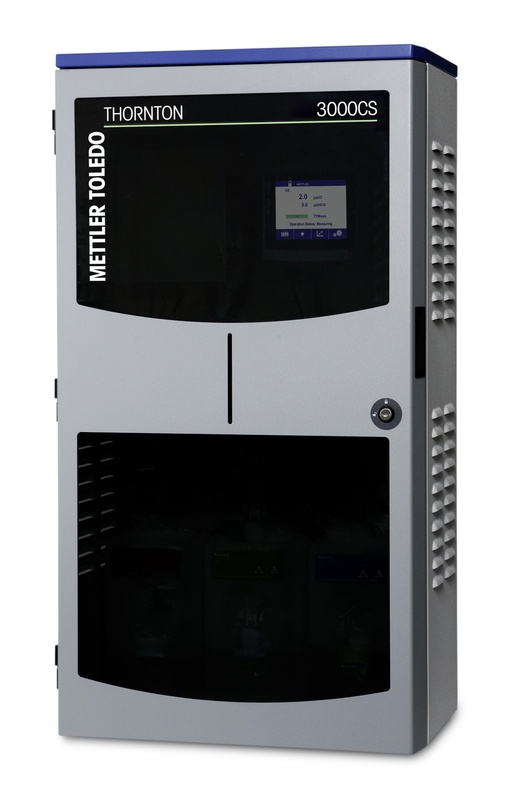 "The 3000CS provides accurate chloride and sulfate measurement every 45 minutes without any operator intervention,” says Akash Trivedi, product manager for analyzers at METTLER TOLEDO Process Analytics. ”It provides continuous monitoring of harmful ions and delivers a rapid return on investment by eliminating the need for costly internal or external lab tests." For more information on the 3000CS, contact Akash Trivedi: akash.trivedi (at) mt.com.